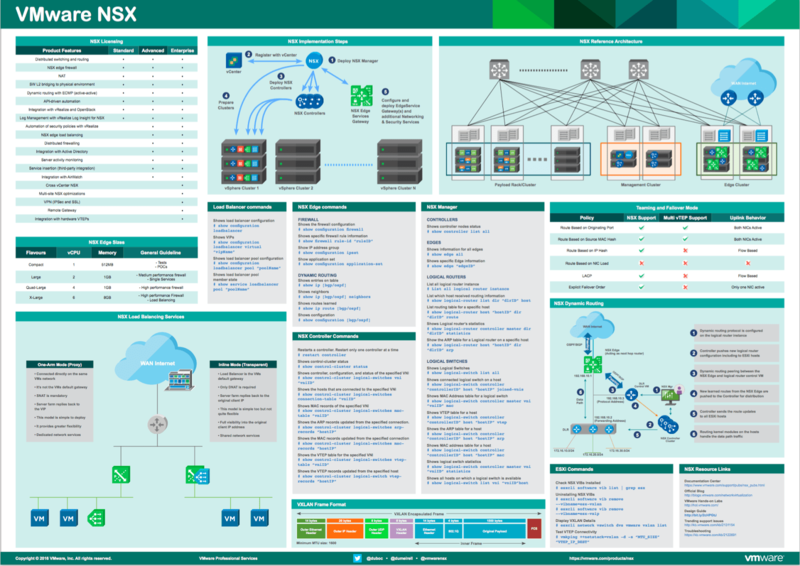 VMware NSX is the network virtualization platform for the Software-Defined Data Center. NSX embeds networking and security functionality that is typically handled in hardware directly into the hypervisor. The NSX network virtualization platform fundamentally transforms the data center’s network operational model like server virtualization did 10 years ago, and is helping thousands of customers realize the full potential of a SDDC. With NSX, you can reproduce in software your entire networking environment. NSX provides a complete set of logical networking elements and services including logical switching, routing, firewalling, load balancing, VPN, QoS, and monitoring. Virtual networks are programmatically provisioned and managed independent of the underlying hardware.